Most people know that patients with diabetes run a much higher rate of feet and lower limb amputations than any other disease. As in most diseases, prevention is the best cure. Diabetes is no different. Knowing what to do and when to do it is the best weapon a diabetic can have. Regular visits to your podiatrist for a regular foot exam cannot be mentioned enough. You doctor will evaluate the status of your circulation, the level of your neurological condition and evaluate your skin for any abnormalities that most affect diabetics. Diabetics must check their feet EVERY DAY, and look for anything that may not have been there the day before. They need to check for redness, swelling, cracks in the skin blisters or any foreign objects that may have punctured the feet. 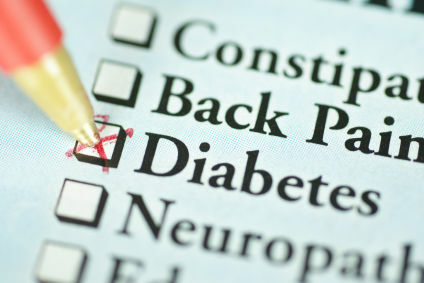 Sounds simple enough, but if you are a diabetic with neuropathy, this sounds simpler than it may be. Not feeling your feet may make you think that all is “OK”. Nothing can be farther from the truth. Inspection is vital to maintaining proper foot health. If you can’t see the bottom of your feet, it helps to have someone else check them for you or perhaps the use of a large mirror placed on the floor would be the answer for helping in your daily inspection. Any breaks in the skin must be attended to immediately with proper first aid. A small crack in the skin or blister can rapidly become an infection or ulcer in no time at all. Proper foot hygiene (daily washing and inspection… NOT soaking!!) along with daily application of proper emollients to keep the skin soft are not negotiable! Avoid oils and Vaseline as they don’t add moisture to the skin. This is essential as a large component of neuropathy is called “autonomic neuropathy” where by the skin does not produce the proper amount of naturally occurring oils that lubricate the feet. This leads to dry and cracked feet, which can quickly lead to infection and ulcerations. Any change in your neuropathy is a “red flag” that something might be wrong. Sudden pain or sudden change in color of your toes might be signaling you that medical care is essential and cannot wait till “after the weekend”. Amputation prevention is a very serious matter that demands your attention on a daily basis.